Jasper Hamill of The Register reports that a former system administrator that worked aboard the USS Harry S. Truman in the reactor department used the Navy’s internal network to gain access to sensitive government websites. Charges have been made on the names of Nicholas Paul Knight, aged 27, the leader of the hacker group Team Digi7al, and his partner Daniel Trentor Krueger, aged 20. 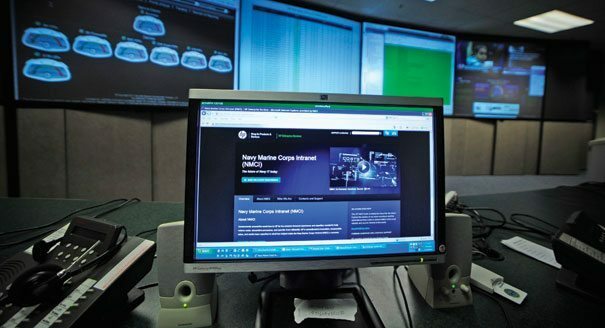 They hacked the Navy’s Smart Web Move (SWM), a database storing details for 220.000 service members, such as: names, security numbers and birth dates. Team Digi7al targeted alsothe United States National Geospatial-Intelligence Agency, Los Alamos National Laboratory and the Department of Homeland Security. Whatever information they managed to find, the two hackers made it public through Twitter links. Nicholas Paul Knight “called himself a ‘nuclear black hat’ who fought for the people of the United States, not the government.”,as stated in the court documents published by The Register. Kruegers motivation behind his actions was much more simple. He declared to the prosecutors that he hacked the Government websites “out of boredom.”. Three other Team Digi7al members were identified but they were not yet charged. The Navy has set-up a call center for helping the sailors that have problems regarding this breach in security. The damage caused by Team Digi7al to the US Navy is estimated at $514.000. If Krueger and Knight are to be found guilty in the trial, they will spend up to 5 years jail, pay a fine of $250.000 and pay restitution to the victims. After he was arrested on Monday, Knight was also discharged from the military.